Miller Theatre commissioned writer Lara Pellegrinelli to create this season’s Composer Portraits program notes, as well as a series of Q&As with Executive Director Melissa Smey. Here is the fourth installment, centering around our upcoming evening of music from composer Wang Lu. Q. Wang Lu, the next composer in the series, was born in China. 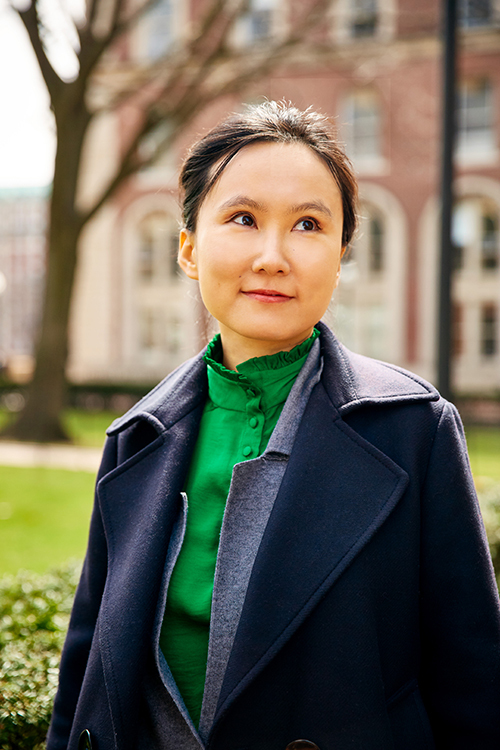 Du Yun (who was just featured in November) was also born in China, and seems to treat “new music” as if she’s encountering an exotic, sonic landscape. But Wang Lu's music seems to be about seeing her homeland through the eyes of an émigré. A. That’s interesting. Wang Lu’s music can be disorienting in a way that I imagine speaks to her experience. You can feel that there’s architecture underpinning the pieces, but there’s a great deal of surface detail and sonic moments that hold your attention. 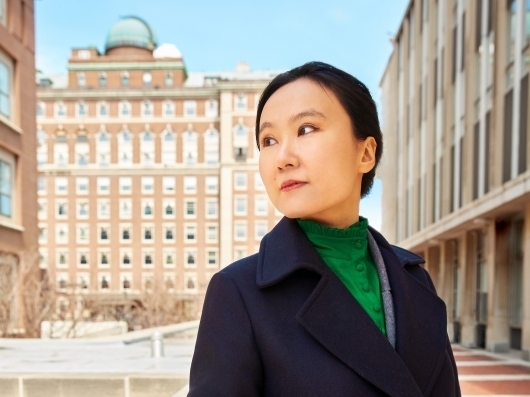 Lu told me that she came to the U.S. for the first time to go into the graduate composition program here at Columbia. Chou Wen-Chung, who taught here for decades and met her when he gave a talk at her conservatory, helped facilitate her study here. It must have been hard at first. I can't imagine leaving everything to go to another country without knowing a single person and not having a strong grasp of the language. Q. She hasn’t had much press yet, but her pieces have had many performances in the last two seasons. A. More people need to know about Wang Lu. Russell Greenberg from Yarn/Wire has been talking about her forever and Ross Karre from ICE had also mentioned her. When two musicians I love and respect tell me I should pay attention to someone, I listen. Then Russell approached me because Yarn/Wire had a shot at a commissioning grant. He asked if I’d be open to it. Um, yes! So that led to plans for the portrait. I didn’t know her work very well before. "More people need to know about Wang Lu...When two musicians I love and respect tell me I should pay attention to someone, I listen." We went back and forth about what would be on the program in addition to the new work for Yarn/Wire. That group is an unusual quartet: two pianos and two percussionists. We thought maybe we should also have work for bigger forces on the program. That’s where ICE came in. And we landed on Siren Song. It’s written for nine instrumentalists, but it’s an extension of an operatic tradition. It’s meant to imitate an ancient Chinese dialect from Xi’an, where Lu is from.